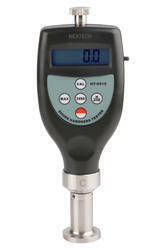 Our organization is engaged in trading and supplying of an array of shore hardness tester. These testers are manufactured using graded material at our vendors' facility to ensure these are in compliance with the industry standards. Further, our testers are available in various configurations to ensure these are compatible with the varied industry application. 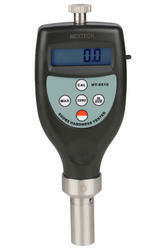 We are one of the leading traders of Digital Shore Hardness Tester Model HT6510A or HT6510D, which can be customized in accordance with the requirements of the clients. 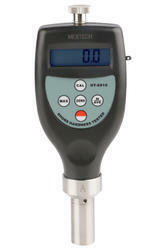 These shore hardness tester with long lower part are manufactured using quality material at our vendors facility. Our quality product finds application in measurement of the penetration hardness of rubber, elastomers and other rubber like substances such as neoprene, silicone, and vinyl. It can also be used for soft plastics, felt, leather and similar materials. These are designed by the experts for plastics, Formica, Epoxies and Plexiglass. Shore D is Designed for Plastics, Formica, Epoxies and Plexiglas. Shore A is Designed to Measure the Penetration Hardness of Rubber, Elastomers and other Rubber like Substances such as Neoprene, Silicone, and Vinyl. It can also be used for Soft Plastics, Felt, Leather and Similar Materials. APPLICATION Shore C is Designed for Various Foam and Sponge.